Diamond Foam and Fabric remains iconic on La Brea Blvd. 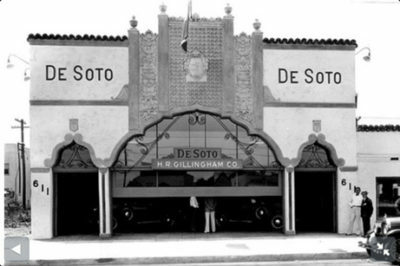 THE 1920s BUILDING that houses the La Brea Ave. foam store originally served as a De Soto car dealership, designed by architect Julia Morgan. Jason Asch never planned a career in the textile industry. He was all set to go to law school when a summer job at Diamond Foam and Fabric came calling. Since the 1950s, two brothers and a sister had owned the family business, then called Diamond Foam. 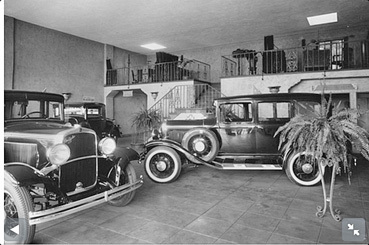 The 1920s building that housed their La Brea Ave. foam store originally served as a De Soto car dealership, designed by architect Julia Morgan. Having no one to take over the family business when they retired, they approached Asch. Being a local who once lived in Fremont Place, he decided to make a go of it and bought the store at 611 S. La Brea in 1981. He noticed that Diamond’s customers would purchase their fabrics around the city and then bring the fabric to Diamond Foam for the foam. Asch decided that the logical thing to do would be to add fabrics to their stock and sell everything directly from the store –– one stop shopping. Asch also observed that the local fabric stores were selling silks and woolen prints, so he decided to focus on woven fabrics. Much of the fabric that Asch sells is American made. He realizes that his customer’s sensibilities are in tune to socially responsible issues, and he wants to mirror that with his own company. His employees get full benefits, and many of them have worked with him for 20 years. One employee, Earl Johnson, has been with the company for 45 years. As more retail spaces have opened on La Brea, Asch knows that his business must also reflect the street’s changes. He plans to introduce Italian bedding, fine towels and possibly high-end lighting fixtures. Staying true to form, though, he only plans to use high quality, small producers for those items as well. For more information, go to diamondfoamandfabric.com or call 323-931-8148.